If you don’t know Edward J “UK” Nixon, that’s about to change. Edward was kind enough to take time out of his busy schedule to answer some questions for theProAudioFiles.com. Please share with us how you got started as a recording engineer. Music has been in my family for decades, my father is a pianist and keys player. I spent the majority of my youth in and out of bands and due to the lack of budget, I experimented with home recording. This eventually led to recording local indie acts and my interest in audio engineering snowballed. When did you start working with J.U.S.T.I.C.E League? I met J.U.S.T.I.C.E League while working on sessions for Def Jam in a facility in Atlanta during the summer. J.U.S.T.I.C.E League were in the “A” room for the duration writing for the Def Jam roster. One week later I was engineering Maybach Music III (Rick Ross feat. Erykah Badu, T.I. & Jadakiss) and I’m proud to say that I have been their engineer ever since. Can you share any details on how you recorded the strings and brass on Maybach Music III? The string and brass ensembles were recorded over a 48hr recording session. For strings, three Neumann U87’s formed my Decca Tree (Full Omni spread) with spots consisting of Neumann 184’s for Violins and Neumann 147’s on Cello’s and Viola’s. Brass was tracked using U87’s for trombones, 184’s for french horns and 147’s for trumpets. I will be sharing much more detailed information on the Maybach Music III session shortly on an audio manufacturers website, so keep an eye out for that. What new projects are on the horizon for J.U.S.T.I.C.E League in 2011? 2010 was a fantastic year with the success of Rick Ross’s album “Teflon Don” debuting at #2 in America, which is now certified Gold, with over half a million records sold and is well on it’s way to Platinum certification. J.U.S.T.I.C.E League produced the #1 selling single on the Billboard charts with ‘Aston Martin Music’ feat. Drake and Chrisette Michele along with the groundbreaking ‘Maybach Music III’ and the opener ‘I’m Not a Star’ Rick Ross’s ‘Teflon don’ duly won the acclaimed “New York Times Album of The Year Award” across all genres. 2010 also saw singles for Keyshia Cole with ‘Long Way Down’, T.I. with ‘Pledge Allegiance’ feat. Rick Ross and Lloyd Banks ‘Don’t Deserve You’ feat. Jerimih. During 2010’s fourth quarter J.U.S.T.I.C.E League was in the studio writing material for Mary J Blige, Drake, Jill Scott, Young Jeezy, Rick Ross and Laws to name a few. I am extremely lucky that I get to record Laws (my favorite rapper) on an almost daily basis with him being signed to J.U.S.T.I.C.E League/Warner. We have just wrapped up recording ‘Yesterday’s Future’ which is really exciting. The project is a Laws and Sir Paul McCartney collaboration, slated for a Jan (2011) release. 2011 is shaping up to be an extremely successful year even by J.U.S.T.I.C.E League’s high standards. Which do you enjoy more: recording or mixing? I enjoy both, but if I had to choose then I would choose mixing. Mixing generally allows me to be more creative when compared to tracking (in most situations), however J.U.S.T.I.C.E League allows and encourages me to be as creative as time will permit during tracking. In my experience this is not the ‘norm’ and I am lucky to have this freedom, which enables me to really enjoy both. Did you start out on an analog console and switch to digital? I am very much the new generation of engineer, I started ITB and have continued to work mainly ITB; I do however use a hybrid “best of both worlds” setup most of the time. There is something about using a console that I love; the environment plays a key role also, knowing that your favorite records were mixed on the same console inspires me to make better records. Take my favorite facility in America for instance, Tree Sound Studios in Atlanta run by Groove Chambers & Mali Hunter. A George Augspurger designed A-Room that has seen a plethora of legends over the years including Sir Elton John, coupled with a great staff, notably Chief Engineer Miguel. This environment has become home, inspiring me to push the boundaries of my own creativity and make great records, which after all stands above everything, making the ITB/OTB argument pale into insignificance. Any other thoughts on ITB vs. OTB mixing? For me personally, recall and flexibility ITB is so important. The ability to recall and make changes on the go is essential; for instance I can arrive at mastering with my laptop and make changes instantly if required. If we are talking sonic quality then I think that although plug-in manufacturers have made giant leaps forward (and continue to do so) there is still an obvious gap. ITB however, my creativity can run wild and with no limit. This is critical to the way I mix, and so I choose to balance the best of both where possible. Do you prefer Logic or Pro Tools as a mixing environment, why? I actually prefer Logic, although I use both. J.U.S.T.I.C.E League are avid users of the Apple platform so I spend most of my time mixing in Logic and 90% of my time tracking in Avid’s Pro Tools. Editing however is another story for which I do favor Pro Tools over Logic. What are your thoughts on Compression and Dynamic Range? The trend for many years has been to over compress leaving very little dynamic range, with the notion of “louder is better” being employed. This however is not a notion that I employ and again I’m fortunate that J.U.S.T.I.C.E League share a similar view. I often use compression to add to the dynamics of a performance rather than to take away. Something that has started to become instrumental to me is to lay on the couch/sofa in the control room and listen to the song two or three times, making mental notes along the way. It is a very unconscious method that comes naturally, helping me to feel out the emotion of the song. 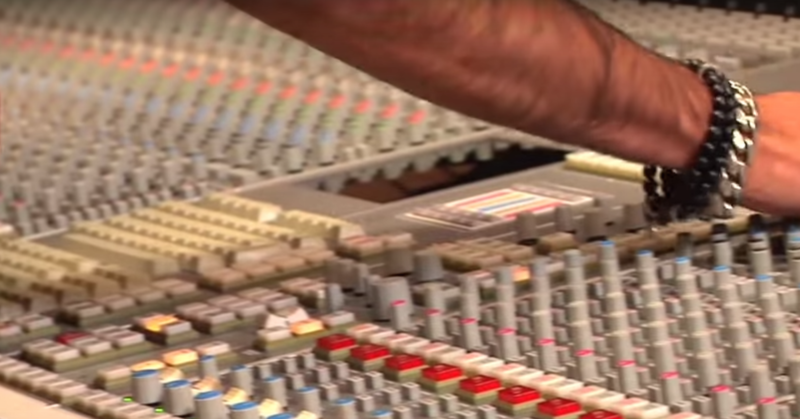 Do you think it’s beneficial to be both the recording and mixing engineer on a song? Or do you appreciate an outsider’s perspective? Well, it certainly can aid the mixing process in terms of time, I can gauge what the artist, producer(s) and A&R’s are looking for early on in the process of making the record if I am tracking it. The initial reaction of excitement/enthusiasm is so important to me and can be grasped at the source during tracking, rather than fixing it later during mixing. That being said I do enjoy the process of mixing a record that I haven’t tracked just as much sometimes if it has been tracked with love and care, and if not then sometimes the challenge to really turn a record around is an enjoyable process too. I am lucky that the majority of time that I don’t mix a record that I have tracked it will be mixed by a peer, generally by a mix engineer that I admire. I have come to realise that the art of mixing is very similar to art on canvas, in that there is no right or wrong way to mix. As much as I enjoy painting the picture and telling the story that the artist and producer(s) were conveying, I also enjoy admiring and listening to another mix engineers story too. Looking back, what experience(s) opened up the most doors to your success as a recording/mix engineer? I don’t mean to sound cliché, but I can honestly say work ethic and sacrifice, let me see… I think I have amassed in the region of 10,000 hours in the last year and a half or so of actual studio time, whether it be recording or mixing. Those that are close to me will tell you that if I am not in the studio, I am editing at home or on a flight somewhere and that before I go to sleep, an engineering print of some sort needs to be pried out of my hands. I have also been very lucky in that I have been fortunate enough to meet some great people along the way as well. Back in October we were invited to The Fox Theatre for the Atlanta leg of Drake’s 2010 tour, which was subsequently followed a week or so later with a studio session with Drake in Atlanta. I prepared for the session like any other, preparing vocal chain(s) and pulling up J.U.S.T.I.C.E League’s three Logic rigs on the console, expecting for it to be the regular 10-hour plus session (like any other). So, Drake arrives and I quickly realize that the guys (J.U.S.T.I.C.E League and their manager) and Drake go way back. What followed was a little surreal to say the least, (much like the rest of 2010). The next six hours were spent listening to new music and having some great conversation over a drink or two (or three). Just to be part of that was a beautiful thing, to be in the company of such talented, successful and yet truly humble people was my most memorable moment of 2010. Any advice to younger engineers just starting out? Education can be a really good experience if you are sure beyond all doubt that you want to pursue a career in audio engineering. If you are unsure even in the slightest then I would strongly recommend an internship first, even just for a few months so that you can really decide whether it’s for you. The internship process weeds out the people that really aren’t cut out for a career in this industry. You really have to have a genuine love and passion for your craft to be prepared to work an 18 hour shift, clean the bathroom(s) before locking up and then make the hour journey home only to sleep for 3 hours and be back up and ready to do it all again and be unpaid. Some other invaluable advice once you have passed the intern phase would be to pick your jobs wisely, quality over quantity. Yes you need as much experience as possible, but in my opinion it is better to have a few hours of good experience than a week watching someone hitting record. Looking back it is possible that had I not studied for four years for my Degree and instead took the intern route that I may have been further up the ladder by now, but for me education enabled me to pass through the intern phase very quickly and in the not so distant future overtake my ‘ghost self’ that took the intern route over education. Thoughts on automation? How much automation do you end up using when mixing ITB? Automation plays a key part in my mixing process both dynamically and to create musical interaction. I use the Frontier Audio, Alpha Track exclusively, sometimes automating a vocal immediately after I have edited and thoroughly labeled a session for instance. The reason that I like to use the Alpha Track is that I find that automation with a mouse is very un-musical, much like looking at the attack time of a compressor while dialing it in. What were the top 3 things you looked forward to doing upon your return to London after months spent in the US? #2: Eating Fish & Chips: Only to realise (after devouring them) that I don’t really miss them as much as I thought. #3: Shaking the jet lag: I really struggle being away for so long. It normally takes a week or so for me to get back to normal. …Once the three steps above are complete, I spend much needed time catching up with family and close friends. I don’t think that my family or close friends will ever fully understand my passion, drive to succeed or how hard the sacrifices that I have made or continue to make are, or have been. I am just glad that they don’t give me too much of a hard time for not being part of their lives as much as I would like too. 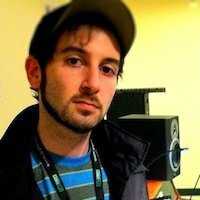 A huge thanks to Edward for joining us on theProAudioFiles.com. Follow him on Twitter, and stay up to date with his latest happenings. You’re definitely going to hear more from him in the future!